JMARS is an acronym that stands for Java Mission-planning and Analysis for Remote Sensing. It is a geospatial information system (GIS) developed by ASU's Mars Space Flight Facility to provide mission planning and data-analysis tools to NASA scientists, instrument team members, students of all ages and the general public. JMARS has been available to the public since 2003. It is used in over 65 countries and has over 4000 registered users. 2019/01/08 - Check out the New High Resolution Ceres Shape Model in JMARS! 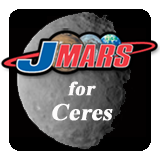 2019/01/08 - New High Resolution Ceres Mosaics are available in JMARS! 2018/10/22 - UPDATE: Mac OS installers now working for Mojave (10.14). 2018/10/02 - Mac OS installers currently not working for Mojave (10.14). Did you miss the October 13th Webinar? To watch the video, click here. 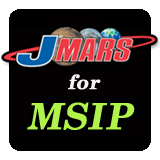 This is the JMARS MSIP version of JMARS for the Mars Education Program. 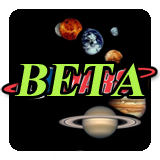 This JMARS Beta installation includes all JMARS functionality with updated Beta features. 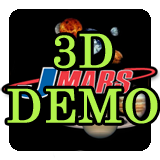 This JMARS 3D Demo installation includes several planetary bodies and contains the new 3D shape model viewer.